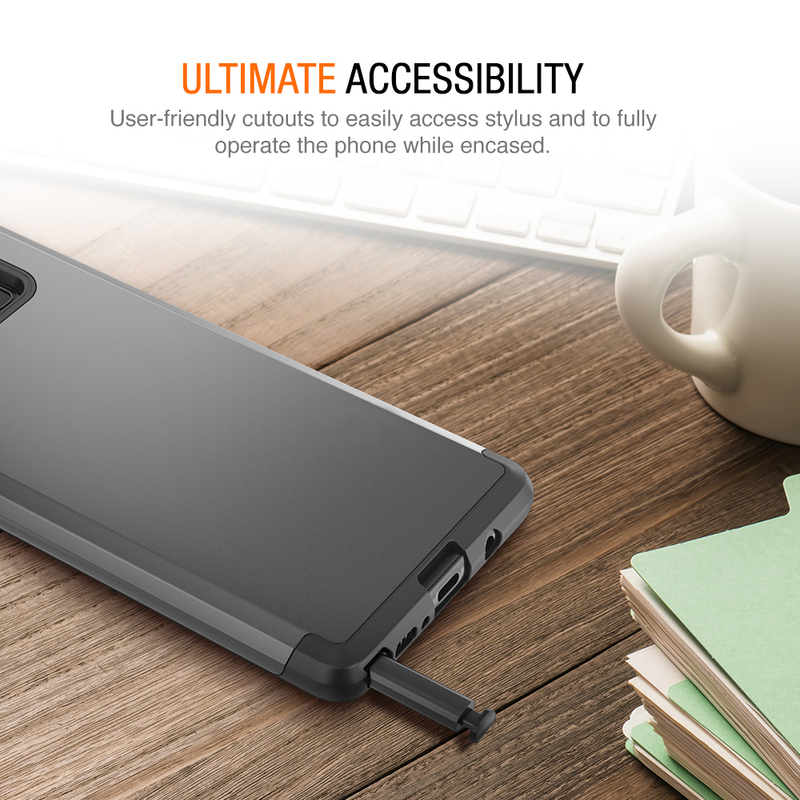 SKU: TM000234. 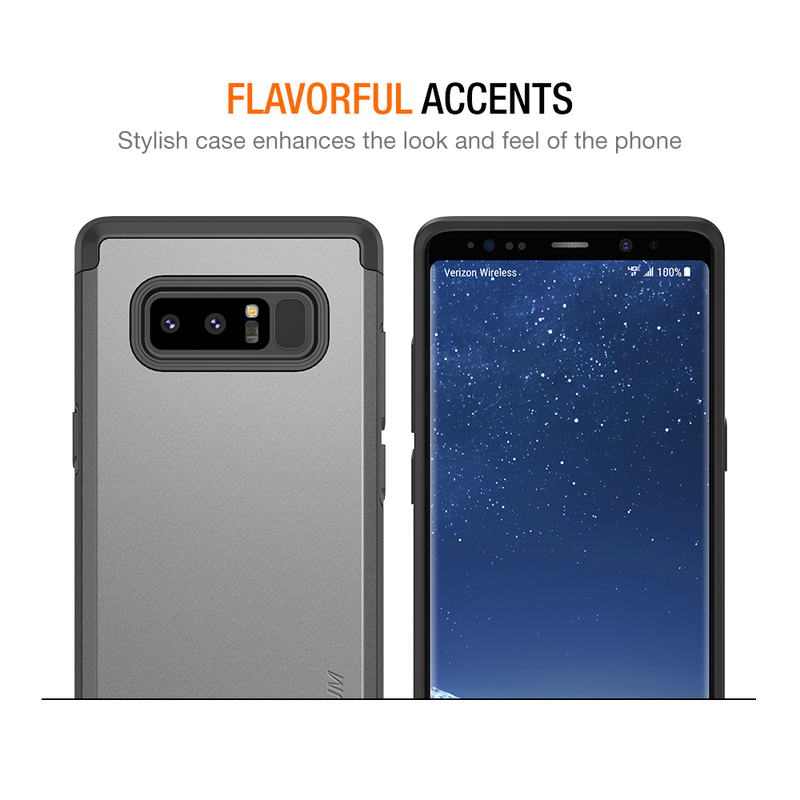 Categories: Galaxy Note 8, Slim Case. 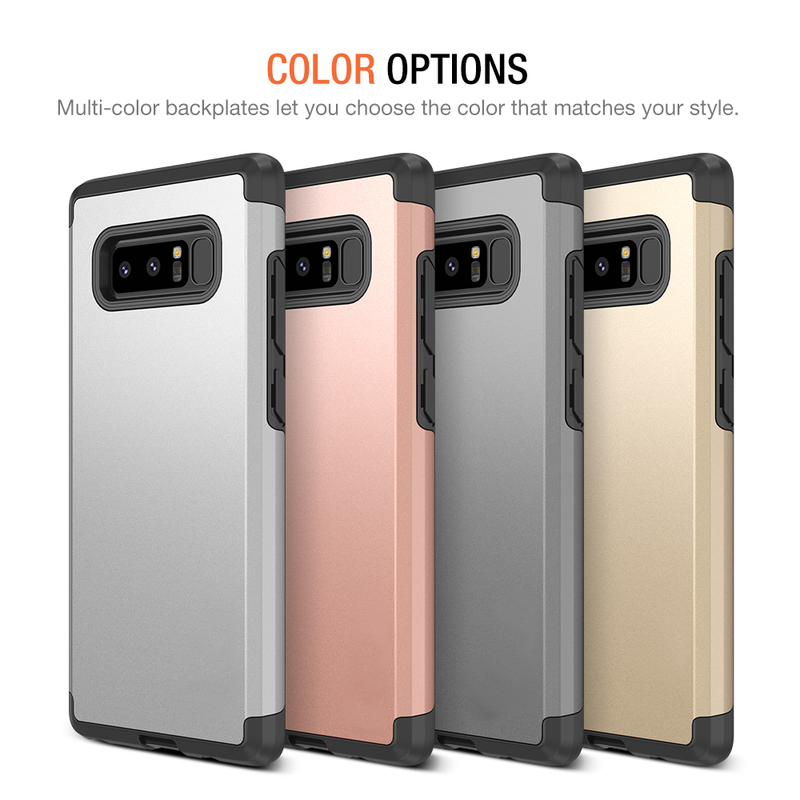 Tags: Duranium Series, Galaxy Note 8 Duranium Series, Slim Cases. 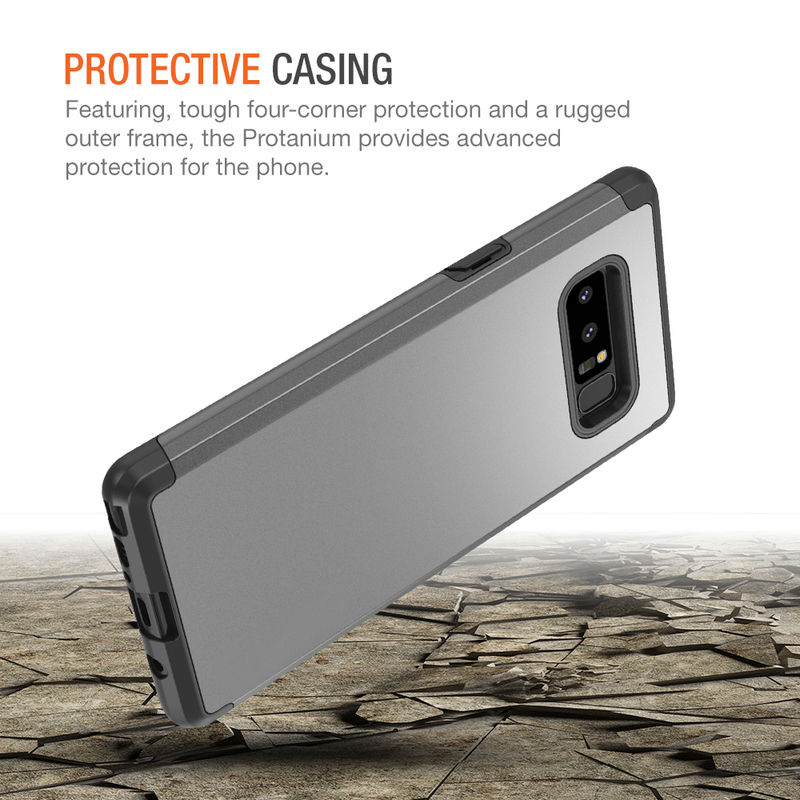 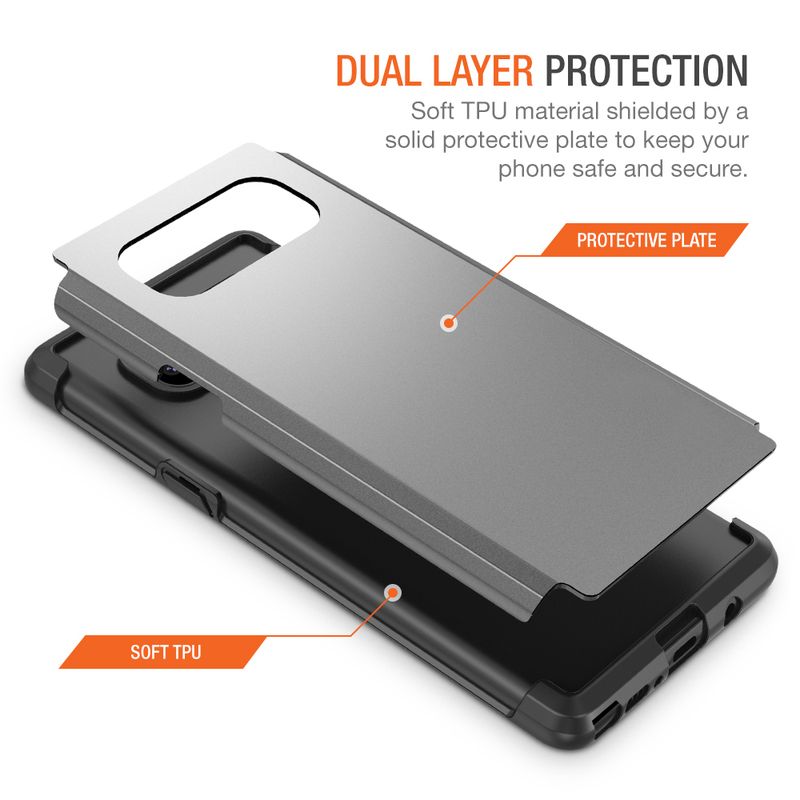 The Trianium Duranium Heavy Duty Tri-Layer Protection Case for Galaxy Note 8 is a powerful two-piece protective case that features an military-grade protection with the premium TPU materias that offers extra cushioned corner, minimizes damage and shock from drops and falls as well as, a strengthened polycarbonate exchangeable back-plate that provides an extra layer of protection from tough damage and scratches. 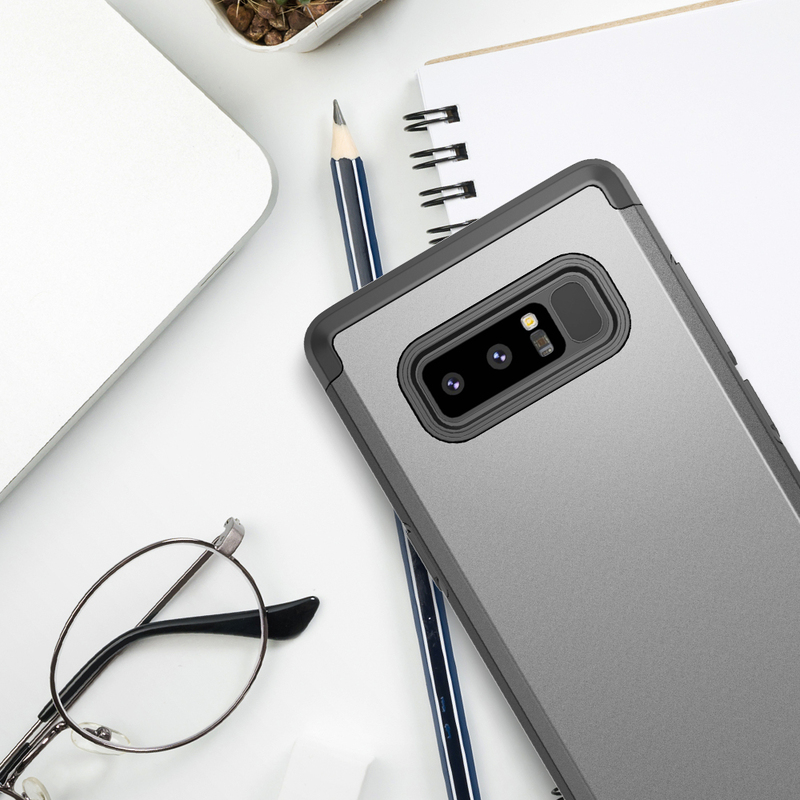 Featuring a stylish geometric design and swappable colored back-plates, this Duranium Note 8 case provides a unique style along with exceptional protection. 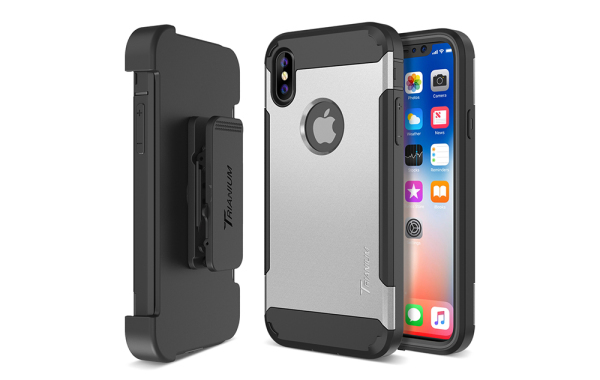 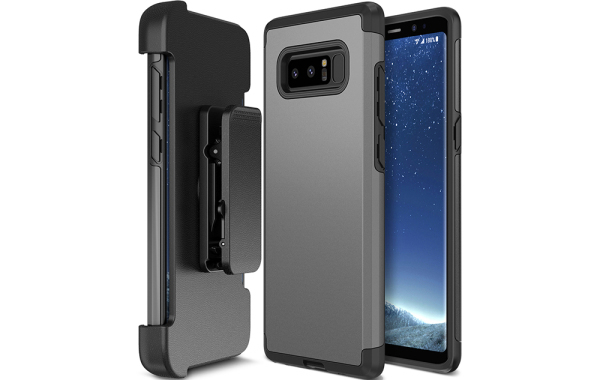 The Duranium Galaxy Note 8 holster case also features, easy access to all ports, a raised lip around the screen that protects from damage when the phone is placed facedown, and a lightweight, slim design. 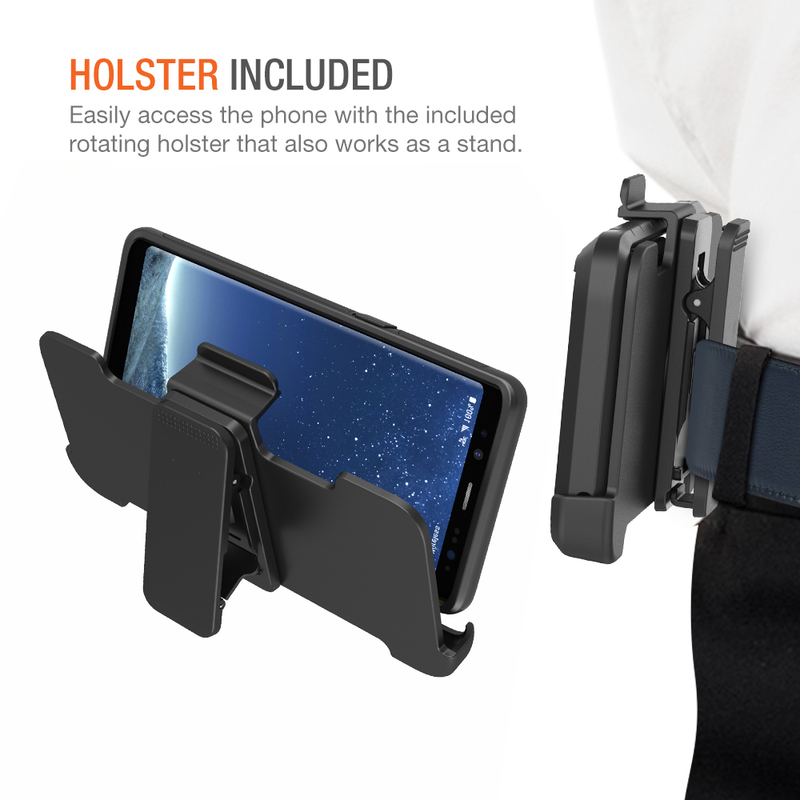 Additionally, add-on Holster belt clip gives you a peace mind of keeping your phone safe with the sturdy locking mechanism. 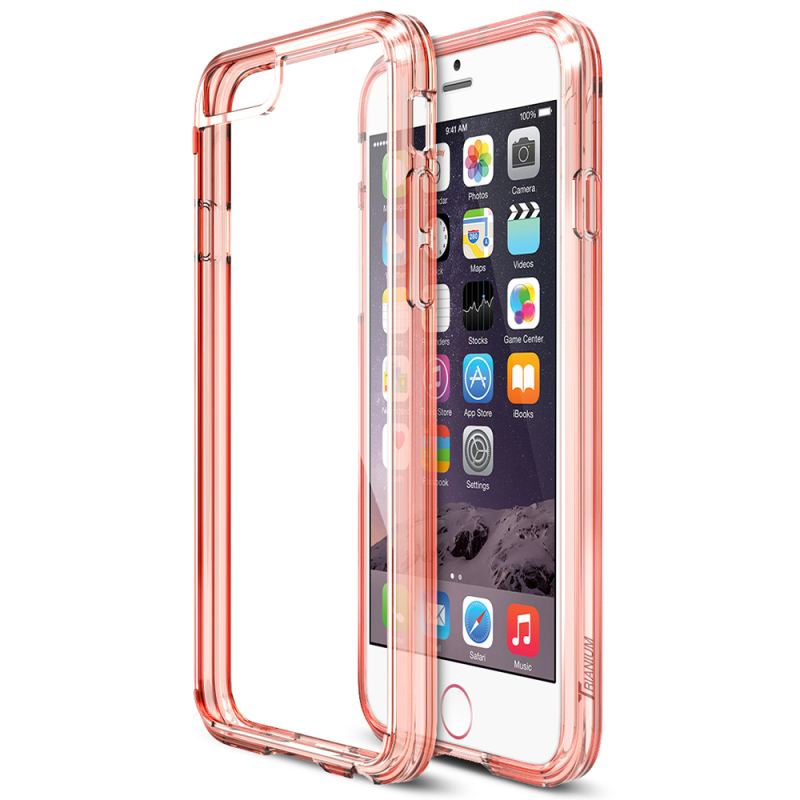 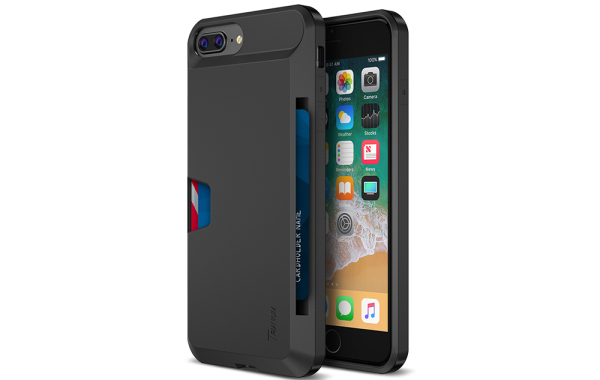 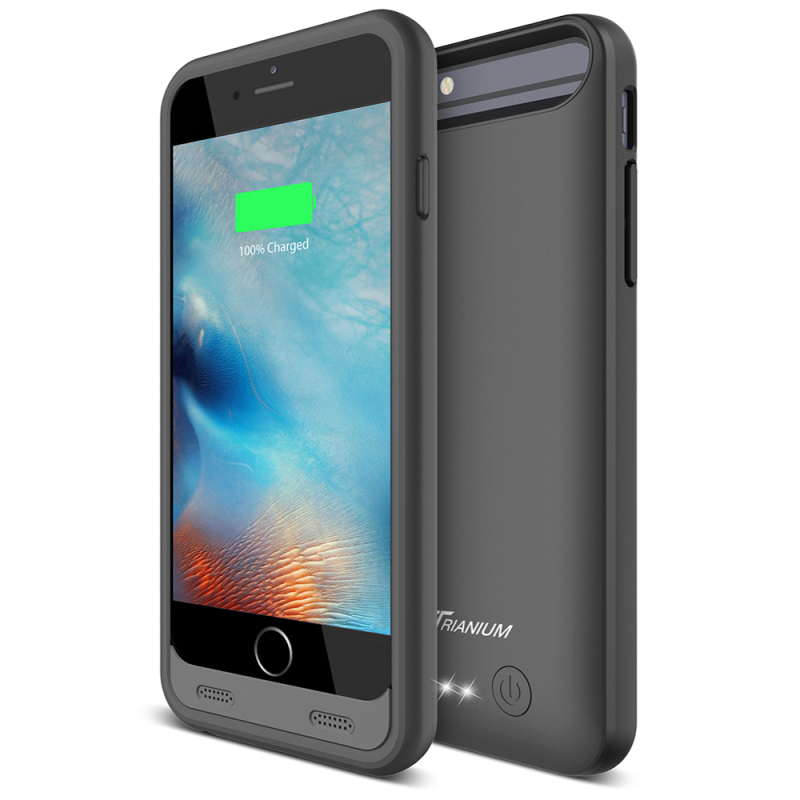 It comes with Trianium’s Lifetime Warranty that protects against any defects for the lifetime of the case!